Any user can be removed from your salon at any time. Only the managers have the permission to do so. To remove a user, select the user and click on “remove” as shown below. 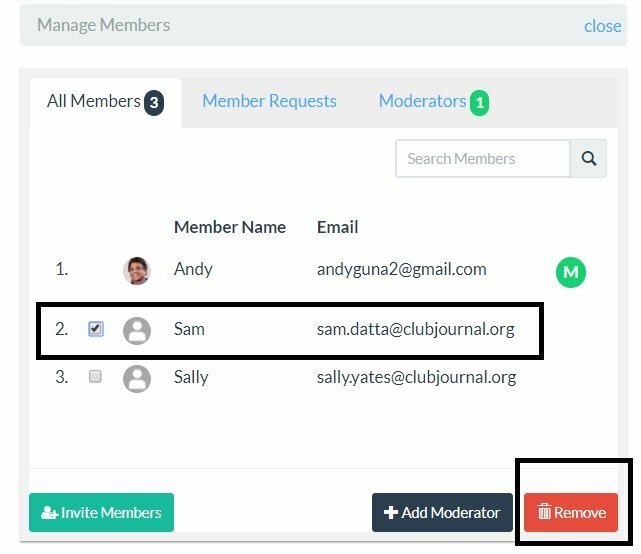 When a user is removed from a salon, all user annotations associated with the salon will also be removed.